Camy's Loft: Protection for Hire and Sushi series ebooks only $6.99 each! 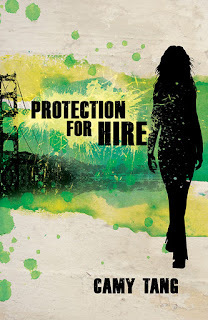 Protection for Hire and Sushi series ebooks only $6.99 each! addictioncuriosity when I was first published, but then I got busy writing more books and now I only check Amazon occasionally rather than once an hour. 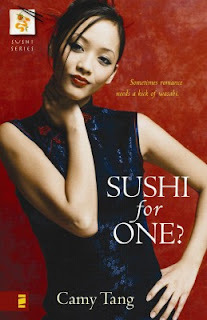 So I didn’t notice until yesterday that the ebook versions of Protection for Hire and all my Sushi series books from Zondervan are now only $6.99! And not just on Kindle, but on Nook, iTunes, and Kobo, too! The last time I had looked, they were all still $9.99 or so. So if you didn’t have a copy of my Zondervan backlist and want one, $7 isn’t a bad price to pay for each of them, right? Book #4, Weddings and Wasabi (novella), is still only 99 cents!